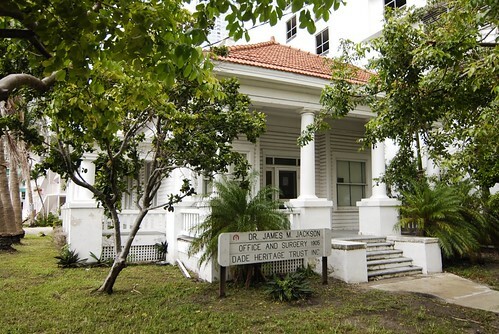 Dr. James M. Jackson Office and Surgery: This charming little building is in the middle of a bunch of huge skyscrapers in the middle of Brickell. It’s on the national register of historical places, and it’s got its own Wikipedia page. It’s the office of the Dade Heritage Trust, who haven’t renamed themselves to the Miami-Dade Heritage Trust ‘cause they’re all about, you know, heritage. and the founder of Jackson Hospital. from the earliest days of the company. is an orthopaedic surgeon at Jackson today. The entire family is a Miami treasure.